An effective design process is built on an open, collaborative relationship between architect and client. Rather than trying to impose our will on our clients, we listen carefully to what they are trying to achieve, then create solutions that address their identified needs. 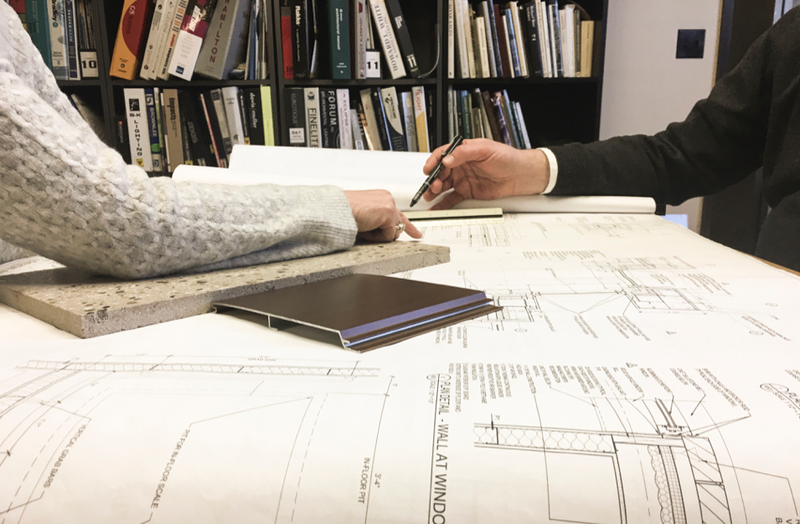 At SE/Coady, we encourage our clients to be deeply involved throughout the design and construction process. The buildings we design must not only satisfy their intended function. In a broader sense, they should give expression to the defining character of our clients’ businesses. At SE/Coady, we believe that every project, even the smallest of jobs, should have some inherent quality that makes it genuinely special. Connie and David have collaborated together on architectural projects for over twenty-five years and have a combined 56 years experience on a wide range of project types and scale. They believe in providing clients with principal attention to detail. Minimum of ten years experience. Must possess outstanding organizational skills in order to successfully manage project budgets, schedules, staff, consultants and clients. Minimum of 8 years experience. Must possess proficiency with building codes, specifications, and strong knowledge of construction technology, as well as AutoCAD. Minimum Bachelors degree and possess proficiency with AutoCAD.